Sometimes, simple elegance says it best. 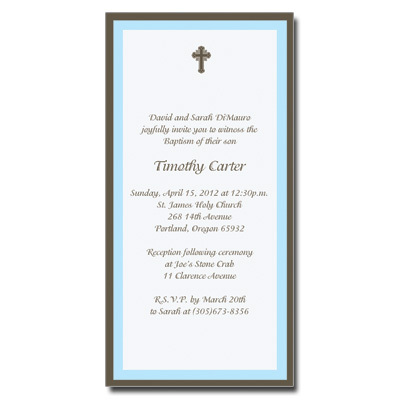 A simple border and cross, printed in blue and chocolate, gives this invitation a sense of style in an understated way. Card measures 3.5x7.